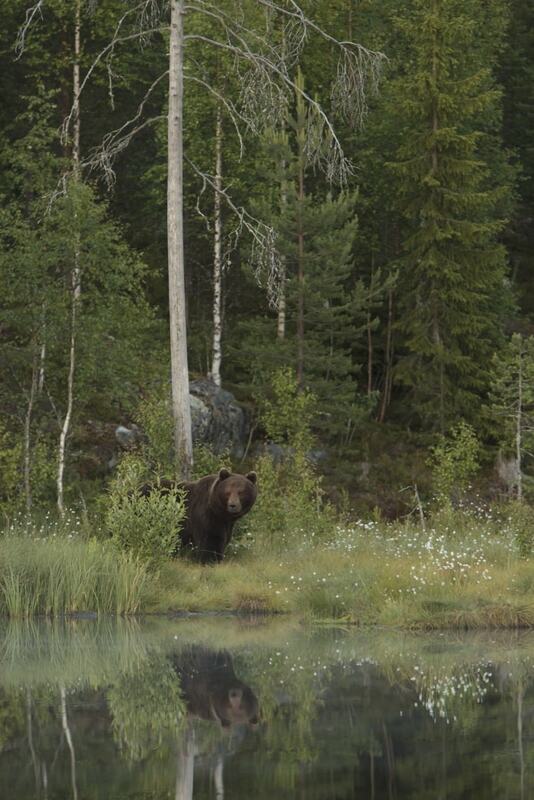 We are happy to show a selection of images typical of the type of image that may be captured at the location used for the NaturesLens Brown Bears of Finland Photography Holiday. 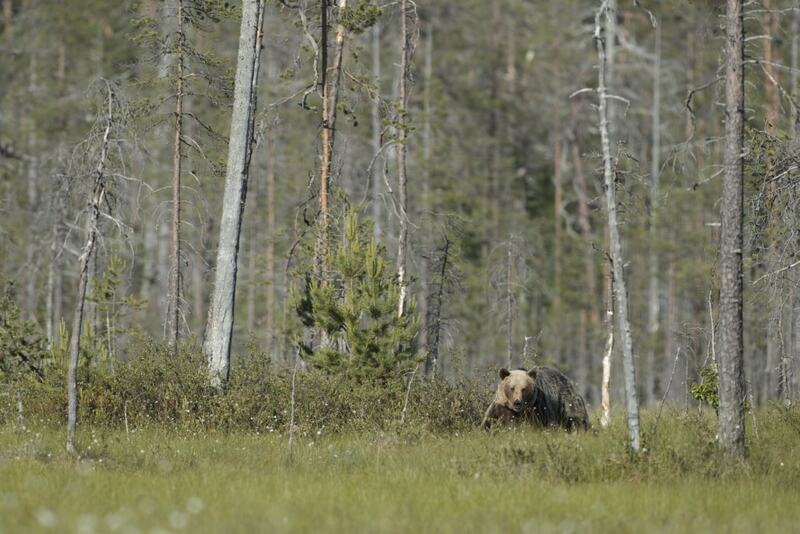 All these images were captured by Dan Trim over a period of three nights, the NaturesLens Brown Bears of Finland Photography Holiday spends seven nights at this location, meaning the guests should have many photographic opportunities. 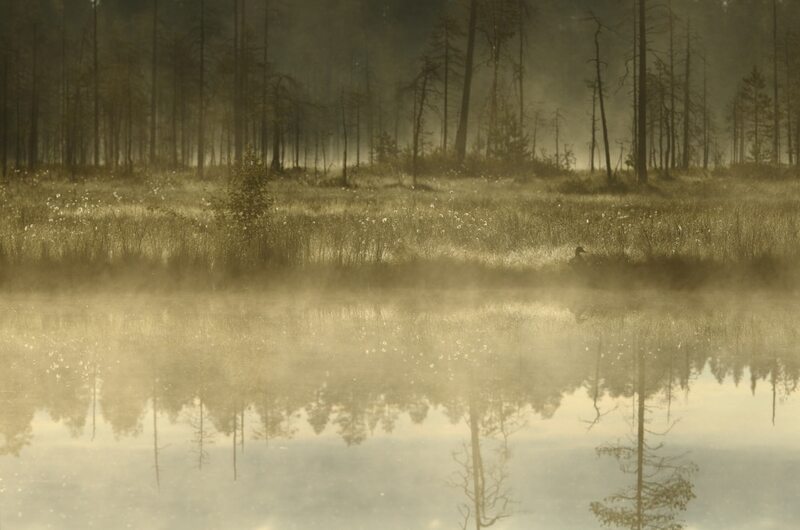 The various locations available, lend themselves to atmospheric morning shots when the mist & light conditions coincide. 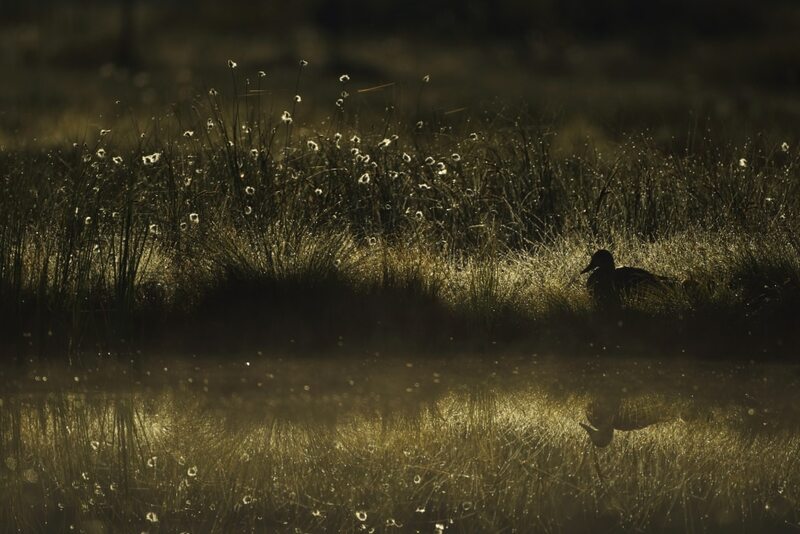 Of course, the stars of the photography holiday are the brown bears, who can be found ambling through the cotton grass at the time of year our visit is scheduled for. 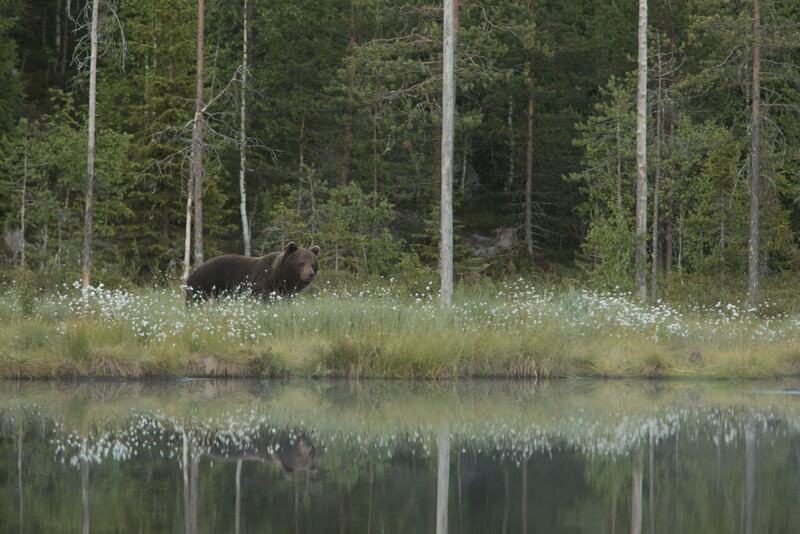 Finland is one of the most important locations for the European Brown Bears in Europe & it is easy to see why. 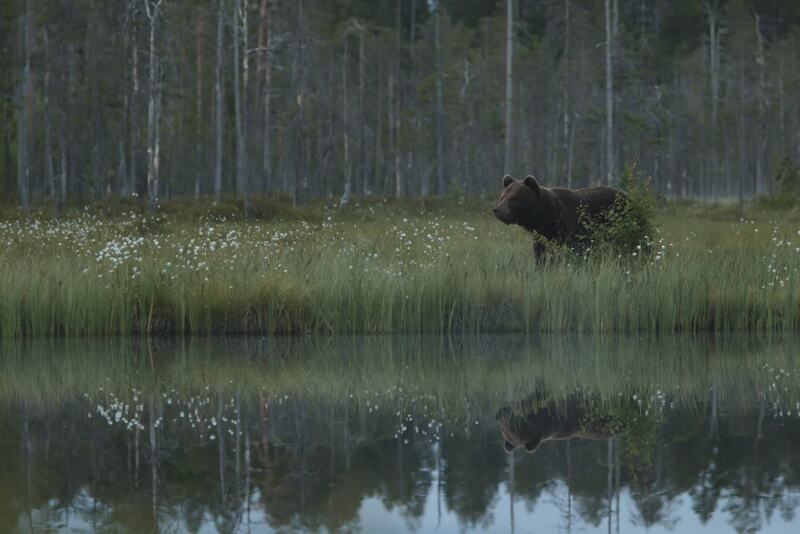 For photographers keen to add brown bear images captured in different conditions & lighting to their wildlife portfolio, our seven night stay in Finland in the midst the territory of these apex predators provides an abundance of opportunities. 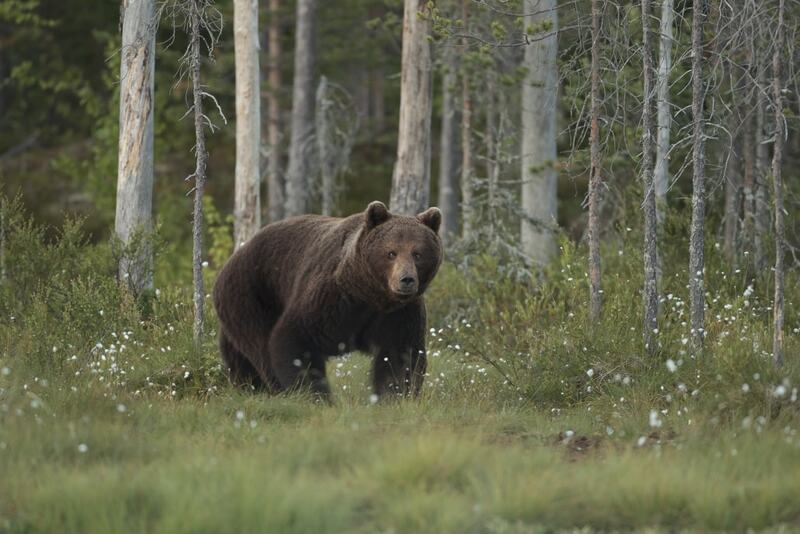 With the early-bird pricing, our Brown Bears of Finland photography holiday costs £1099 exc flights & airport hotels – all transportation, food, accommodation & hide usage from landing in Kajaani to the return to Kajaani airport is included & is held during the dates of June 25, 2017 – July 3, 2017. 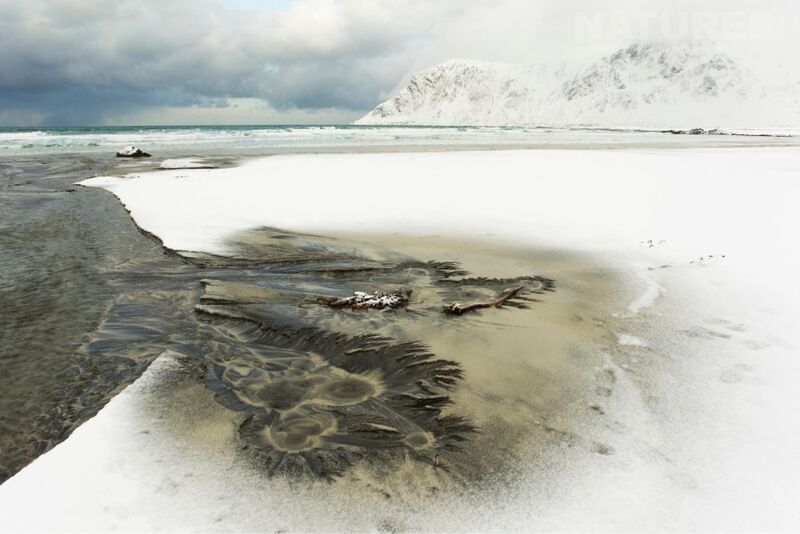 The NaturesLens Lofoten in Winter Photography Holiday is scheduled for the dates of 22nd-29th January 2017 & costs £2499 for all 7 nights on a full board basis with shared accommodation. The tour has a lower limit of 4 participants & an upper limit of 6. You can view all the trip details here – we are very pleased to publish the images on this page, all were captured by Floris Smeets, one of the two leaders on the trip. 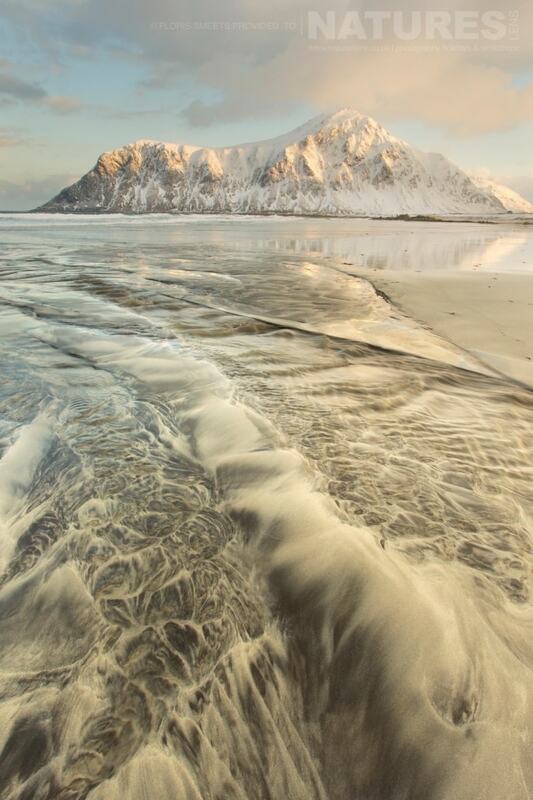 In the northwest of Norway lies one of the most beautiful areas of Europe, the Lofoten islands. 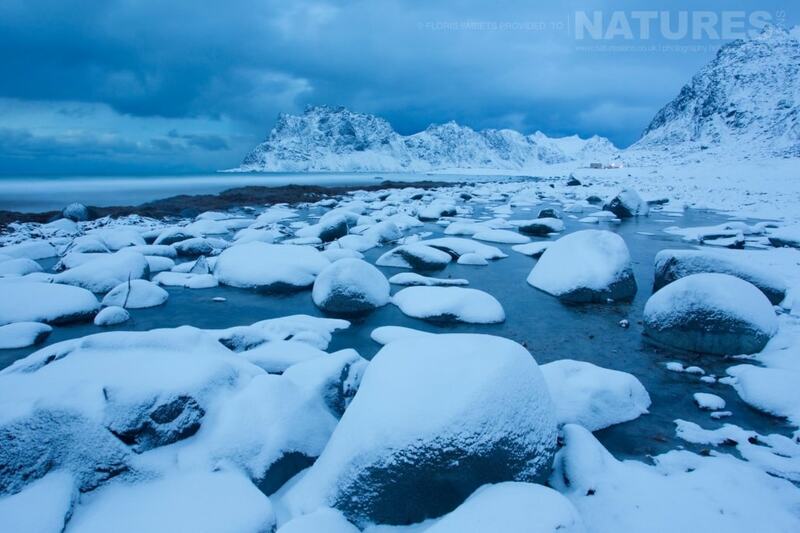 During winter this area turns into a paradise for every landscape photographer & in 2017 you can experience this for yourself with NaturesLens! 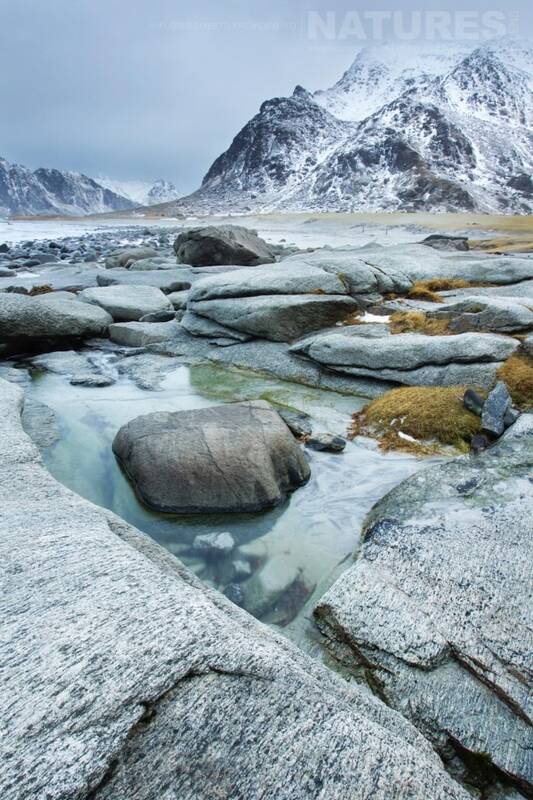 The Lofoten islands offer a broad variety of photogenic scenes & landscapes, including impressive steep mountains rising straight out of the fjords & picturesque fishing villages made up of typical red houses. 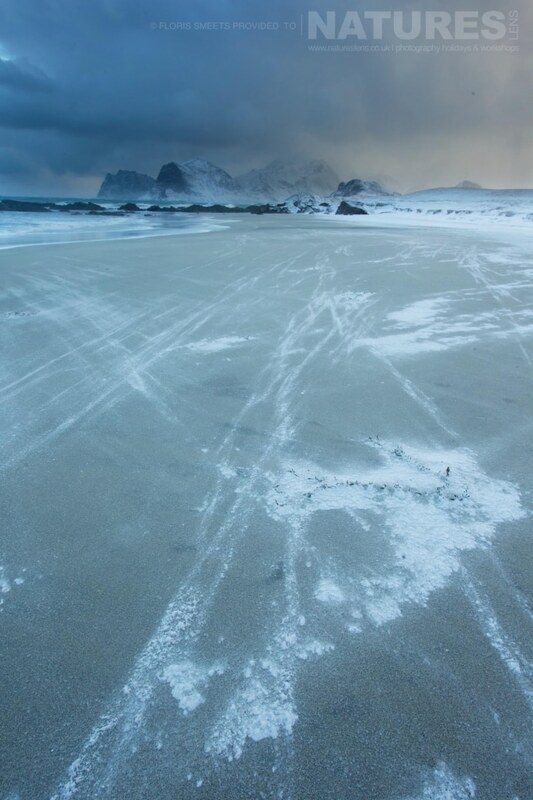 From detailed patterns in the sand on the beaches, to the stunning lightshows of northern light in the sky, Lofoten has it all. 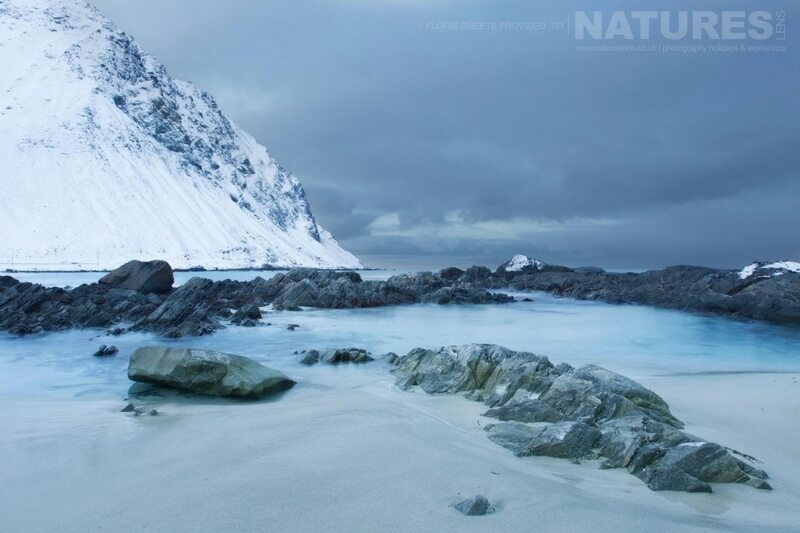 One minute you are standing, photographing large waves breaking on the boulders in the surf, & the next, it starts snowing, changing the scenery into a white paradise. During winter the days are short & the sun does not rise far above the horizon. This results in beautiful coloured & soft sunlight throughout the day, & when the clouds move in front of the sun, the already rugged landscape develops into something quite sinister. During the long nights, if we are lucky, the group will be entertained by the spectacular northern lights, the aurora borealis. 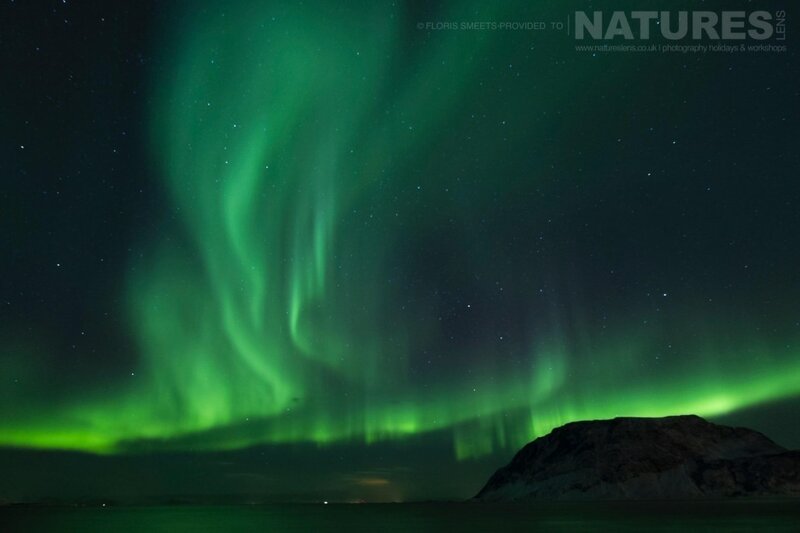 The borealis appears when solar wind particles collide with air molecules in the earth’s atmosphere, transferring their energy into light. When this phenomenon appears & lights up the surrounding landscapes, the dancing light show will simply mesmerise you. This stunning area is the playground for the Lofoten in Winter Photography Holiday, an intensive 8-day long tour scheduled for late January 2017. During this trip our tour leaders will help you to improve your photography skills in landscape, night & creative or abstract photography. You will learn how to use techniques such as panning, long exposure, filter usage, basics in multiple exposure blending & image processing. All photo locations are reachable by car & within 50-200 metre walking distance. 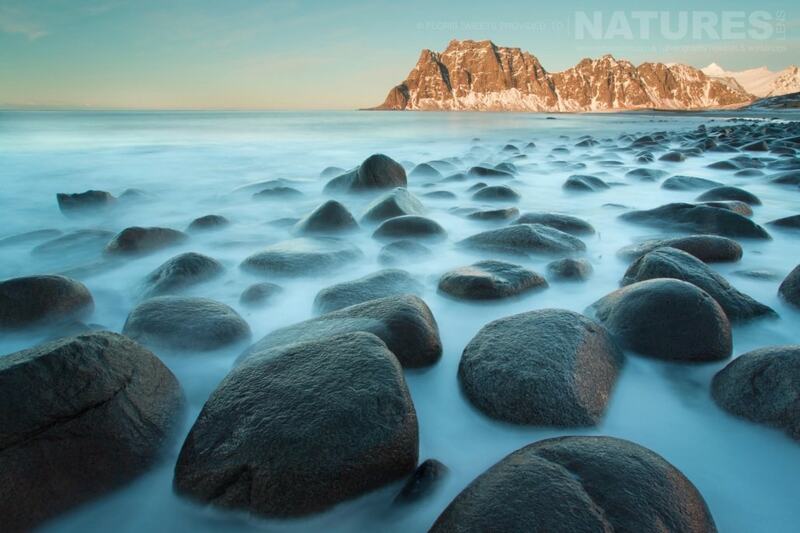 The main focus during the tour will be photographing landscapes & northern lights, but our photography leaders will point out the many small details to be found at almost every location, giving you plenty of possibilities to take abstract & creative shots which you might have otherwise missed. During winter, wildlife is scarce on the islands, but when & if we come across any wildlife, we can attempt to photograph it if desired by the participants. During the nights we keep a close eye on the sky for any signs of the northern lights, & as soon as the show intensifies, we will go outside to experience & photograph this amazing phenomenon. All meals are included, breakfast & lunch are bought in the supermarket & are prepared by ourselves. The evening meals either take place in our accommodation or in one of the local restaurants. 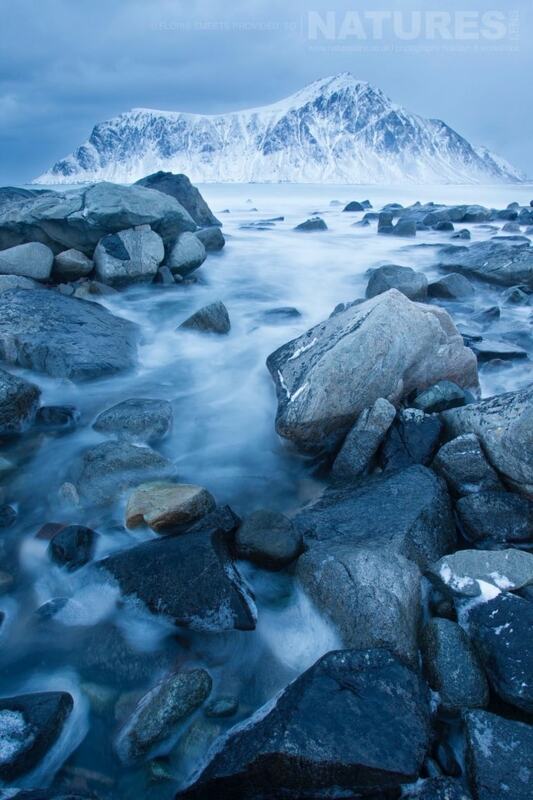 The Lofoten in Winter photography holiday is guided by Floris Smeets & Kevin Morgans. Floris lives in Norway, speaks the language & knows the local customs. 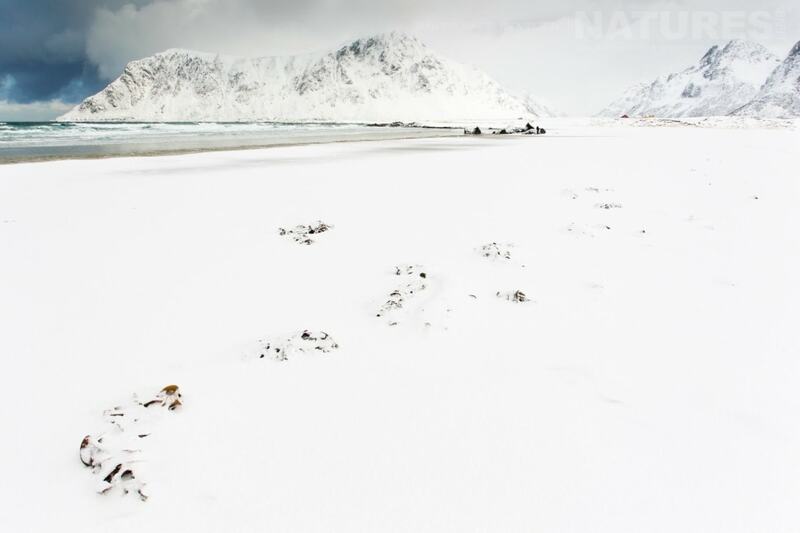 He works all year-round as a (nature) guide around his home in southeast Norway, in the rugged mountains of Dovrefjell & obviously also Lofoten. 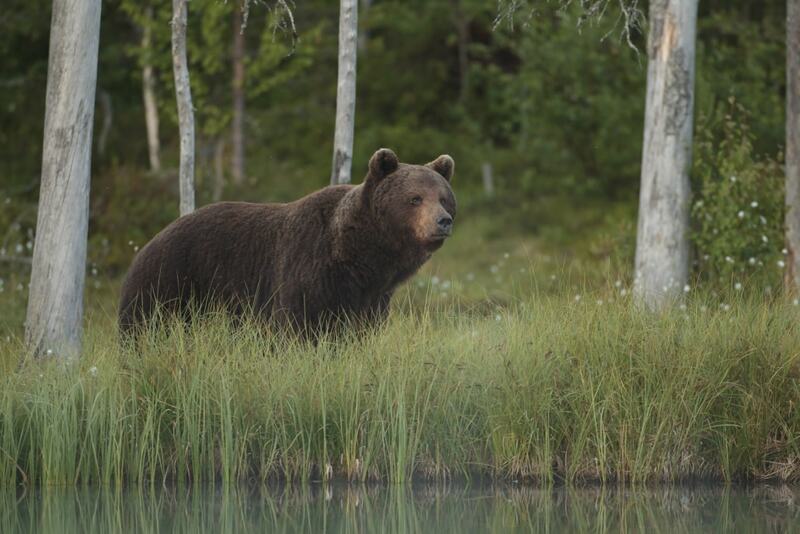 Floris knows as no other how to find & approach wildlife & has an impressive collection of pictures of difficult species such as wild reindeer. 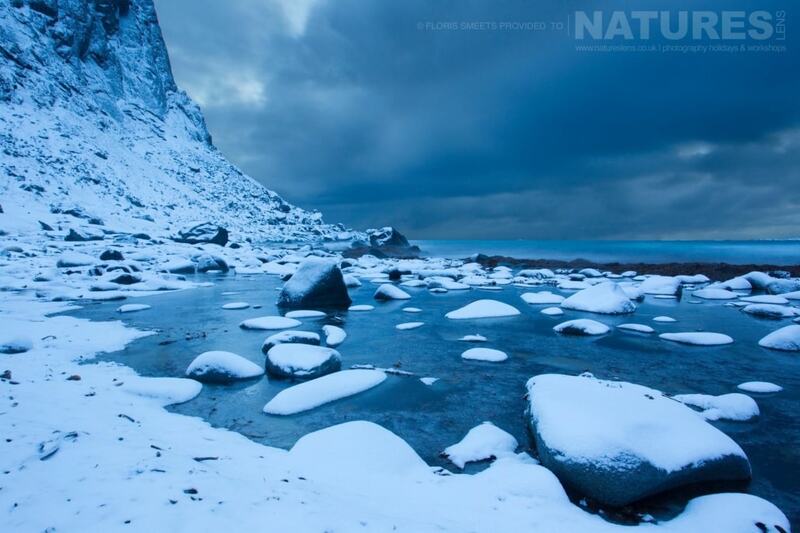 Kevin is an all-round nature photographer & a veteran leader of NaturesLens workshops & photography holidays. He has visited Norway a number of times & worked closely with Floris in the past. Together Floris & Kevin are rich in their knowledge of photography & they enthusiastically share that knowledge with all the participants. You can view all the trip details here – to finish, here are several more images from the trip. 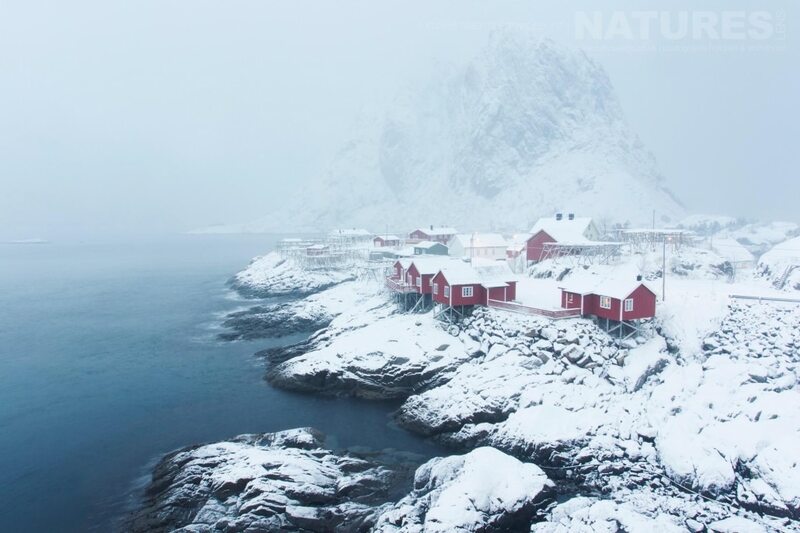 Whatever your query regarding our photography holiday, Head to Norway for a Lofoten in Winter, please fill out your details below & we will get back to you.